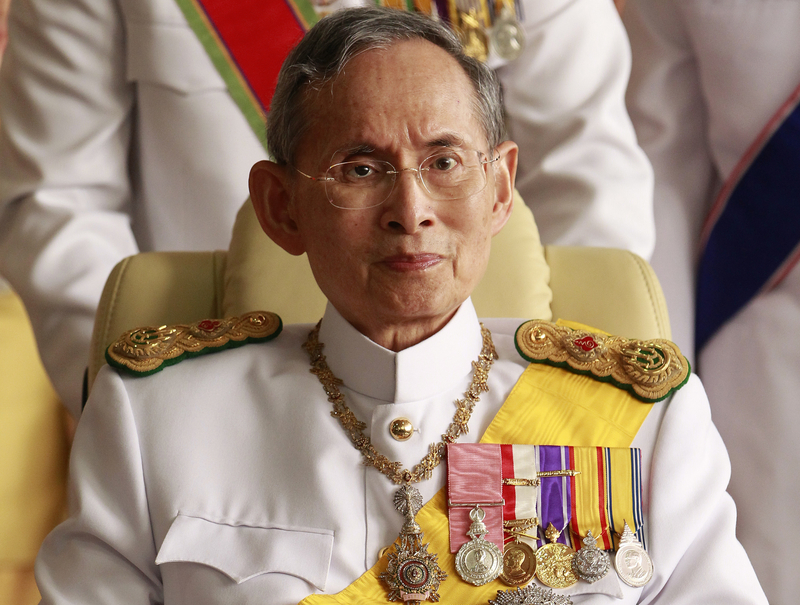 Some of you may have heard about the most tragic news in our lifetime for all Thai people, the death of our beloved King Bhumibol Adulyadej who passed away yesterday at the age of 89 and during the 70th year of his reign. Then, you may notice that not only all your Thai friends have changed their FB profile pictures and covers all into black to mourn our beloved King but you may notice also through several news sources about the nation’s deepest grieve. Not a single face without tears. Not a single word well enough to express the sorrow. The whole nation has once again united as one to share a moment of the darkest hours in our history, losing the heart of the nation who we love unconditionally and wholeheartedly. For those who are not familiar with the strong bond between Thai people and the royal family, especially King Bhumibol, you may not understand why Thais are so much in deep sorrow when the King passed away. Let me proudly and humbly share with you some of his stories I know! Born on the 5th of December 1927 in Cambridge, MA in the US. He was named “Bhumibol” which means “The Strength of the Land” by his mother who was originally born as an ordinary people and well raised him and his brother and sister in a simple ordinary way, not in a royal luxurious way. At the age of 2, he lost his father from a severe illness. At the age of 19, he lost his brother, King Anandamahidol from a mysterious accident. So, he had to accept the request from the government to start his service on the throne ever since. At the age of 20, he lost one eye from a car accident and he had used only one eye to work for his people throughout the long service of his monarch ever since. The long 70 years of service without a rest. His first royal statement as a king was “I will rule the land with righteousness for all the good and well-being of all Thai people”! And he had done what he promised every single day of his life until his last breath. Throughout 70 years of the reigning monarch, he had travelled to almost every bit of the kingdom, mostly remote areas where the names are not eventually known to us in order to visit his people and helped them getting rid of the problems they had and levelling up their quality of life. He created thousands of royal projects to create foods, jobs and wealth for his people. His palace is the only palace in the world where there are no luxurious decorations or fancy stuff. There are only testing farms, agricultural inventions, cows, school, satellite radio station and other stuff you wouldn’t imagine other kings would have in their palaces. He had sacrificed his happiness, time, money and put all his devotion to his service for one single purpose, to create good lives for his beloved people. He had unconditional love for all the people, regardless of races and religious. His supports were equal for Buddhist, Christian, Muslim, Hindi, etc. This is why Thailand is one of the freest countries in the world, religious-wise. He was a great teacher, creator, scientist, commander, farmer, musician and above all, he was the only man in the country who could truly unite all the people as one. He once said, “My place in this world is to be among my people”. He taught us with words and without words via his actions to love, help and give peace to each other. For the one who could have had a happy luxurious life if he wanted to but ,instead, he had chosen a very simple life and rough road to complete his given mission. His reward and lifetime achievement were only one thing, the happiness of his people. This is why Thai love him……..so much…… I have travelled more than 100 times to Thailand and I have witnessed their strong attachment with King & the Royal family so much.